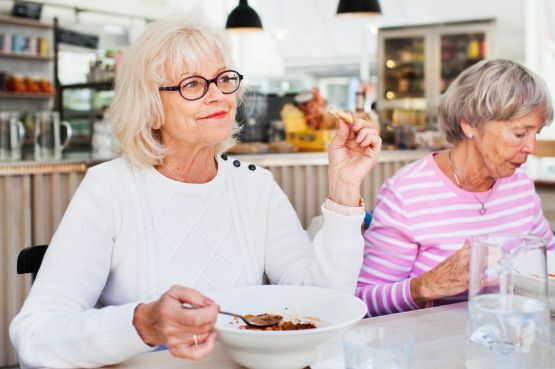 Fundoplication is an operation to treat gastro-oesophageal reflux disease (GORD) when it can’t be controlled with lifestyle changes and medicines. If GORD is caused by a hiatus hernia, fundoplication surgery can be done at the same time as a repair for that. A hiatus hernia is when part of your stomach slides up into your chest through a hole in your diaphragm. 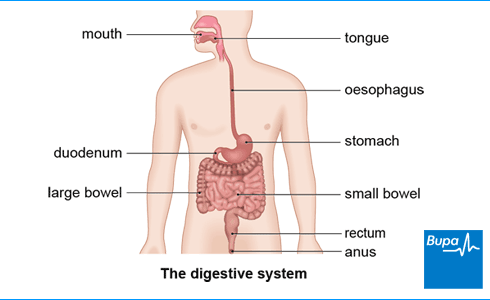 If you have GORD, the contents of your stomach come back up into your oesophagus (the pipe that goes from your mouth to your stomach). A muscular valve called a sphincter, which is at the lower end of your oesophagus, usually stops your stomach contents from doing this. But if you have GORD, this doesn't work as well. The contents of your stomach are acidic and can irritate the lining of your oesophagus if they come into contact with it. This can cause a burning feeling in your chest, called heartburn, which is a symptom of indigestion. There are different ways to treat this with surgery. Here are the most common. Nissen's fundoplication. During this operation, your surgeon will wrap the top part of your stomach around the lower part of your oesophagus to create a new valve. Partial fundoplication. During this operation, your surgeon will wrap your stomach part of the way around the lower part of your oesophagus. Your surgeon will usually use keyhole (laparoscopic) surgery but they have the option of open surgery. They’ll explain your options and which is best for you. For more information, see our FAQ: keyhole versus open surgery. You’ll meet the surgeon who’s going to do your operation to discuss your care. It may differ from what’s described here as it will be designed to meet your individual needs. There are both advantages and disadvantages to having fundoplication. Ask your doctor for their expert opinion and consider your personal values and preferences when you decide whether to have the operation or not. Have a think about how important each particular issue below is to you. You and your doctor can then work together to make a decision that’s right for you. Fundoplication can improve the symptoms of GORD if lifestyle measures or medicines haven’t helped. If you have the procedure, it means you won’t need to take medicines to stop your stomach producing acid. If you have a keyhole procedure, instead of open surgery, you’ll recover quicker and spend less time in hospital. Babies and children can also have fundoplication. See our FAQ: Fundoplication in children for more information. You’ll need to stay in hospital for around a day or two after the operation if you had keyhole surgery. If you have open surgery, this might be for five days. You may get side-effects of fundoplication, such as difficulty swallowing, tummy pain (particularly after you eat) and bloating. You might get a complication of fundoplication, such as damage to your stomach, oesophagus or spleen. See Complications of fundoplication below for more information. The symptoms of GORD may come back after the procedure. Your surgeon will explain how to prepare for your operation. If you smoke, they may suggest you stop because it increases your risk of getting a chest and wound infection, which can slow your recovery. You’ll need to stay in hospital for one to five days, depending on the type of operation you have. You’ll have a general anaesthetic for both keyhole and open surgery. This means you will be asleep during the operation. During a general anaesthetic, food or liquid in your stomach can come back up into your throat and go into your lungs. This can cause damage to your lungs or you to choke, so you’ll be asked to stop eating and drinking a set number of hours before your operation. Always follow your surgeon or anaesthetist’s advice and if you have any questions, just ask. Your surgeon will discuss with you what will happen before your operation, including any pain you might have. If you’re unsure about anything, ask. No question is too small. Being fully informed will help you feel more at ease and will allow you to give your consent for the Nissen's fundoplication to go ahead. You may be asked to do this by signing a consent form. What are the alternatives to fundoplication? See Related information for tips and advice on making some of these changes to your lifestyle. Medicines, such as proton-pump inhibitors, may improve your symptoms if you have indigestion caused by GORD. For more information about these, see our topic on indigestion medicines. Your doctor will usually only advise you to consider having surgery if medicines aren’t suitable, or don’t work for you. This may be because they don’t control your symptoms, you don't want to keep taking them for the rest of your life, or they cause side-effects. If you’re unsure what the best treatment option is, talk to your doctor. Fundoplication takes between one and two hours. There are two ways your surgeon can access the area. Keyhole surgery. In keyhole surgery, your surgeon will make five small cuts in your tummy. They’ll then use a laparoscope (a narrow, flexible, telescopic camera) to look inside your body. The camera sends images from inside your body to a monitor, which your surgeon will look at during the operation. Open surgery. In open surgery, your surgeon will make a single, vertical cut from the bottom of your breastbone to just above your tummy button. It’s possible that your surgeon might need to make a cut in your chest instead but this is rare. Once your surgeon has accessed the area, if you have a hiatus hernia, they’ll probably repair this first. For more information, see our topic Hiatus hernia. Next, they’ll wrap the top part of your stomach around the lower end of your oesophagus to make a new valve, and sew this into place. After keyhole surgery, your surgeon will close your skin cuts with stitches – these may be dissolvable. After open surgery, they’ll close the cut in your skin using stitches or staples. If there are problems during or after a keyhole procedure, your surgeon may need to convert it to open surgery. You’ll need to rest until the effects of the anaesthetic have passed. You may need pain relief to help with any discomfort as the anaesthetic wears off. Once you’re ready, your nurses will encourage you to get up and move around. This will help you recover. How long you need to stay in hospital after your operation will depend on what type of procedure you had. You’ll probably need to stay for between two and five days if you have open surgery. This should be less if you had keyhole surgery – usually between one and two days. You’ll probably also be able to get back to your usual activities more quickly after keyhole surgery. If your surgeon used clips or non-dissolvable stitches, you’ll need to have these removed after about seven to 10 days. Dissolvable stitches don’t need to be removed – ask your surgeon how long it will take for them to dissolve. Your nurse will give you some advice about caring for your healing wounds before you go home and give you a follow-up appointment date. If you have keyhole surgery, you’re less likely to get any complications with your wound. It’s important to take care after the operation – don’t lift anything heavy, for example, for the first month. The time it takes to fully recover after fundoplication varies for everyone, so it's important to follow your surgeon's advice. You’ll probably recover more quickly if you had keyhole surgery so you should get back to normal sooner. You might find it difficult to swallow in the first few weeks after your operation. This is normal and is caused by swelling. You might need to just have a soft diet for the first month. It’s best not to eat very solid foods, such as meat, bread, pasta or fizzy drinks. Take small mouthfuls of soft or liquidised food and eat slowly, chewing your food well. Make sure you sit upright to eat too. These problems usually settle within two to six weeks. If you need pain relief, you can take over-the-counter painkillers, such as paracetamol or ibuprofen. Always read the patient information leaflet that comes with your medicine. If you have any questions, ask your pharmacist for advice. As with every procedure, there are some risks associated with fundoplication. We haven’t included the chance of these happening as they’re specific to you and differ for every person. Ask your surgeon to explain how these risks apply to you. These should improve within about two to six weeks. Passing wind can be a long-term problem so you might need to manage it by changing your diet if you find it’s triggered by any particular foods. Complications are when problems occur during or after the operation. The possible complications of fundoplication include the following. Your stomach, oesophagus or other organs nearby, such as your spleen, could be damaged during the operation. You may find that the symptoms of GORD come back after the operation. This can happen for a number of reasons. The new valve may loosen over time, for example, or come undone. Or you might develop a hernia. If you put on a lot of weight after your procedure, it can also lead to your symptoms coming back. If you have really severe problems after fundoplication, you might need to have another operation. For example, if you continue to have trouble digesting your food, you might need an operation to stretch the lower end of your oesophagus. It’s sometimes necessary to reverse fundoplication but this is a difficult operation to carry out. For example, you might need this if you continue to have problems swallowing. Or you might find you can’t live with the problem of wind that can happen after the operation. Your symptoms will return if you have the operation reversed. Can I drink fizzy drinks after the operation? Can I drink fizzy drinks after the operation? You can, but it’s best to wait for several weeks, and it you might find it difficult to drink them in the long term. After fundoplication, you might have difficulty burping because the valve at the top of your stomach is tighter. This can cause gas to build up in your stomach, and you can feel bloated and pass wind. This can be quite uncomfortable or even painful. Since fizzy drinks increase gas in your stomach, your surgeon is likely to recommend that you don’t have them for at least eight weeks. Your hospital will give you a diet plan to follow for a few weeks until you’ve recovered. Ask your surgeon if you're not sure what’s best to eat and drink after your operation. Can my child have fundoplication? Can my child have fundoplication? Children can have a fundoplication, but only if they have serious problems with gastro-oesophageal reflux. Gastro-oesophageal reflux is common in babies. Usually, food is prevented from coming back up the oesophagus by a muscular valve that separates your oesophagus and stomach. In babies, this may not work properly because their digestive system is still developing. It may also happen if the valve relaxes for a short time, which allows food to pass back up. Most babies grow out of this by the time they’re a year old. Things might also get better once they start eating solid food as having a mainly liquid diet of milk might not help. If the symptoms are more serious or don’t get better, and other treatments for GORD haven’t worked, your doctor may suggest fundoplication. This operation can strengthen the valve between your child’s oesophagus and stomach. There isn’t much evidence about how effective it is – ask your surgeon if they think an operation will help your child. Will getting pregnant affect my operation? Will getting pregnant affect my operation? If you get pregnant after having fundoplication, there’s a theoretical chance it might affect fundoplication surgery as it might disrupt what your surgeon has done. There are some changes that can happen to your body when you’re pregnant that could cause the fundoplication operation you had to fail. These include things like vomiting from morning sickness raising the pressure in your tummy (abdomen). This can affect the long-term result of your operation as your stomach, which your surgeon wrapped around your oesophagus in fundoplication, can come loose. It could also put you at risk of getting a hernia. Your surgeon will talk you through this if you’re planning to have the operation so you’re aware of the potential risks. That being said, it isn’t usually a reason not to have the operation, you just need to be aware of these potential problems. The limited research on this topic found that pregnancy didn’t lead to a higher than expected failure rate of surgery. It’s important to note that this is just one study, and there isn’t a lot of research in this area to know for sure. Ask your surgeon for advice about pregnancy and the effect of getting pregnant on its success.